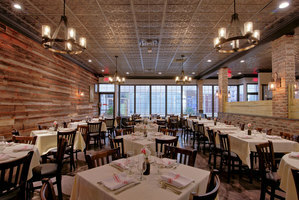 In this busy holiday season, locals can enjoy a new and unique culinary experience at Kitchen 273 located at 111 Bedford Road in Armonk, NY. Since their recent opening in November, Kitchen 273 is using locally sourced ingredients to create a menu of comfort foods with Mediterranean and American influences. A resident of Armonk for over 15 years, owner Fatmir Pushka has been an active member of the community. His three children graduated from Byram Hills High School and he coached both Little League travel baseball as well as Armonk Baseball League. By opening a restaurant in his hometown, he is sharing his love of food, family and friends with his community. 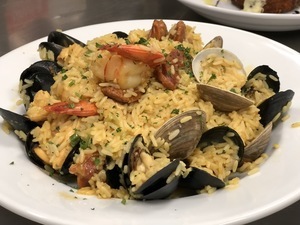 Owner of Ridgefield’s Barn Door Restaurant, Fatmir wanted to open a place in Armonk where people can gather together to enjoy a great meal or relax at the bar and watch sports on one of the three TVs in lounge/bar area. 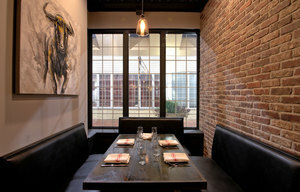 Every weekday from 3-6 pm, you can relax and unwind at Kitchen 273’s Happy Hour. Enjoy $2 off all drinks and order from their delectable happy hour menu. You can experience one of the many unique cocktails such as the Armonk Paloma, which is a mix of blanco tequila, blood orange liqueur, pineapple juice, and chili simple syrup with a chili salt rim. The dining room is elegantly appointed and is the perfect place to share a romantic night out, celebrate a special occasion, meet up with old friends or just enjoy a relaxing meal. Reverse osmosis water filtration and brand new cooking equipment are just some of the additions to the newly designed kitchen. Chef Alex and Chef Marvin bring combined over 45 years of cooking experience. Customer favorites include Lobster Burrata and Chicken Scarpariello, an organic boneless chicken with hot and sweet cherry peppers, garlic, and rosemary served over broccoli rabe. 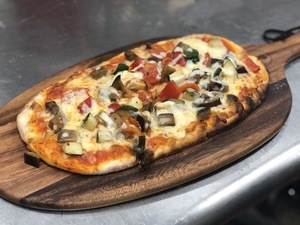 Kitchen 273’s flatbreads are unmatched in taste and variety; from bbq chicken to vegetarian, there is a flatbread for everyone. Gluten free options are available. 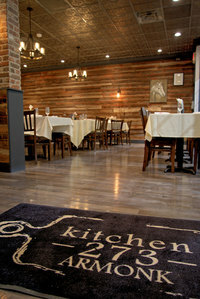 Make this holiday season special by visiting Kitchen 273 at 111 Bedford Road in Armonk. Ample parking accommodations are available. 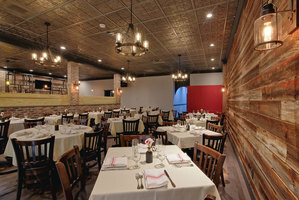 For more information, directions, reservations call us at 914-273-7909 and don’t forget to sign up for newsletters, special offers and updates by visiting our website at www.Kitchen273.com.